While Terry Malts are still very much a thing, a thing with a new record at that, guitarist Corey Cunningham struck out on a solo venture with a 7″ on Loglady Records. He's thrashy when he's with Terry Malts, but as just Corey he's enriched the scuzz with sentimental questions that are fit for ruminating over in a late night diner. The malt of Terry Malts is the boozer-on-a-budget sort that comes in 40ozs, while the malt of Corey's “Is It Really Really Real” are of the milkshake variety, partially out of a sweet tooth coping, partially because it sounds like teenage woes before alcohol became the ultimate answer. From the title track to b-side “Come On Let's Go”, in which Corey pines “one thing, I think I love you”, the 7″ plays out like a mini-record in which a young Cunningham is down, and then up, and the hormones are getting the better of him at every encounter. 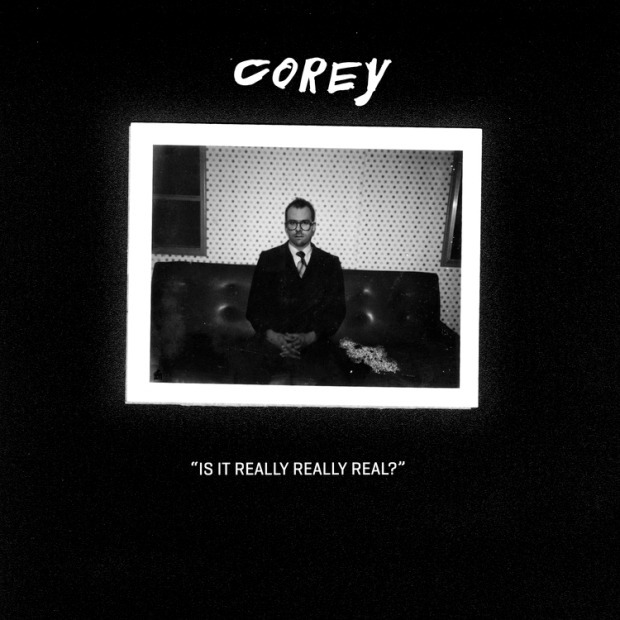 Corey's Is It Really Really Real 7″ is out September 10 on LogLady and available for pre-order at the low cost of $5. Terry Malts' Nobody Realizes This Is Nowhere is also out September 10 on Slumberland.